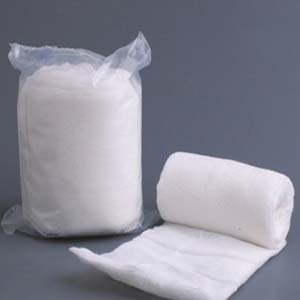 Roller bandages are made from lightweight 100% cotton. A lightweight cotton bandage is used to hold a dressing in place. A roller bandage needs to be chosen carefully to ensure that it is the correct width for the body part involved. As a general guide, the following widths are recommended. It is best to use a bandage with some degree of stretch in the weave. This will make the bandage easy to use and more likely to stay in place for many hours.